Welcome! If you missed our 2nd quarter meeting, or if you are just looking for some titles to read, we picked some fun books to explore. In theory anyway, the world of finance shouldn't be a mystery to Rebecca, since she writes for a magazine called Successful Saving. 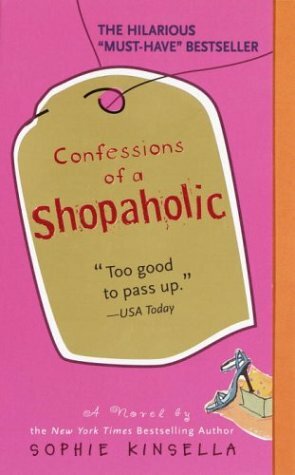 Struggling with her spendthrift impulses, she tries to heed the advice of an expert and appreciate life's cheaper pleasures: parks, museums, and so forth. Yet her first Saturday at the Victoria and Albert Museum strikes her as a waste. Why? There's not a price tag in sight. The "Guernsey" book is wonderful. I was amazed at how well mere letters could intertwine individual stories and latch on to my emotions. It proves there truly is an art in letter writing. I've never heard of the other two--I'll check them out! 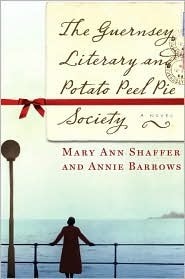 My book club read teh potato peel society, but i never ended up getting a copy. I know Karen loves Sophia Kinsella's writing. I enjoyed the movie though I didn't expect much since I'd heard a lot of negatives. 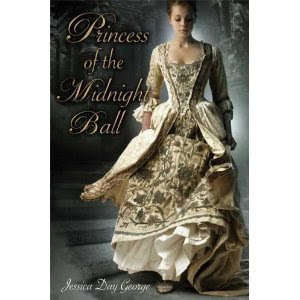 Princess of the Midnight Ball is on my to read list. I love the cover. I hope to meet Jessica Day George.